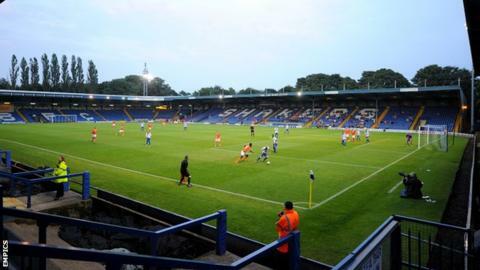 Bury are to rename their Gigg Lane home as The JD Stadium as part of a three-year sponsorship deal with JD Sports. The Shakers have been based at Gigg Lane since their formation in 1885, and have never before renamed the ground. The agreement with the sportswear retailer, which was founded in Bury, will also see them sponsor the club's shirts from next season. Stewart Day, told the club's website: "This is an amazing deal for Bury Football Club and highlights the hard work being put in behind the scenes to secure the future of this great club. "I hope our many loyal fans appreciate the progress being made to ensure financial security at the club." Bury are currently 22nd in League Two.